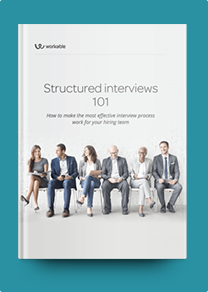 This Insurance Agent interview profile brings together a snapshot of what to look for in candidates with a balanced sample of suitable interview questions. Insurance agents identify sales opportunities of insurance plans and manage a portfolio of clients. They work for brokers, insurance firms or agencies where they are involved in networking, selling and negotiating contracts. Usually, there aren’t any “must-have” qualifications for this position, except in cases where a valid license is mandated by law. You can screen for experience in sales, account management or customer service. Think also whether a degree in finance or business is an important factor for your company. Ideally, candidates should be familiar with the administration of all types of insurance packages (automobile, life, property etc). Ask also about their familiarity with social media marketing. The candidate you’ll end up hiring should be well-organized, an excellent communicator and brimming with confidence. Depending on the responsibilities of the position you are hiring for, you can ask them about their financial analysis and reporting skills. What insurance plans are you familiar with? Which up-selling techniques have you employed to your clients? What questions should you ask to evaluate a prospective client’s needs? How do you use social media to identify prospects? How do you keep track of policy plans you’ve sold? What forms of advertising do you employ as an insurance agent? What are people’s criteria in choosing an insurance policy? If a client was trying to negotiate in a way that wouldn’t be profitable to our company, what would you do? Tell me about a time you had to close deals to meet quota in a short period of time. How did you manage? What’s the most successful sale you’ve ever made? Source and recruit skilled insurance agents with Workable’s Boolean search cheat sheets.